Rabbits are among the most popular house pets but sadly, they are also the 3rd most neglected pet as well with many being surrendered to rescues and shelters within a few months of being brought home. This usually happens because the new owners thought that a rabbit was an easy starter pet. Bringing a pet rabbit into your home can be overwhelming, but with the right preparation and planning, it doesn’t need to be. 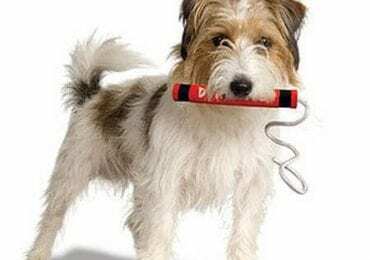 This piece will cover the basics and aims to help you provide a great home for your new furry friend and make life so much easier for all of you. 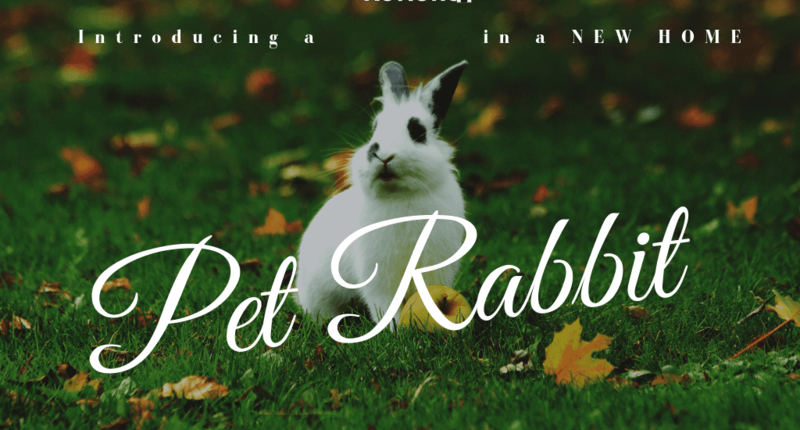 Before you start looking for a pet rabbit, the first thing you need to do is find a vet that is knowledgeable about rabbits and specializes in their care. I would also make an appointment to speak to the vet. This way, you know you’ll have someone in place who can tend for your pet from the moment you bring them home. Also, I would recommend you book a health check appointment within the first few days of bringing home your rabbit. If you are unsure about Specialist vets, you can check with your local House Rabbit Society. You can also check with the local rescues and shelters for recommendations. In the UK, [where Rachel lives] we also need to look into vaccinations as we have 3 viruses that are fatal to rabbits. These are: Myxomatosis, and RVHD type 1 and RVHD type 2. You will need to check with the vet to make sure they stock these. In the USA, these vaccinations are not usually available because normally. there are only a few isolated cases. The next thing you need to do is research the Dietary Needs of your rabbit. A rabbit has a delicate digestive system that needs to be kept in balance to prevent tummy upsets, gas, and GI Stasis. So knowing what is safe for your rabbit to eat is really important! 80% of a rabbit’s diet should be hay with the rest made up of leafy greens and Timothy Hay- based pellets. 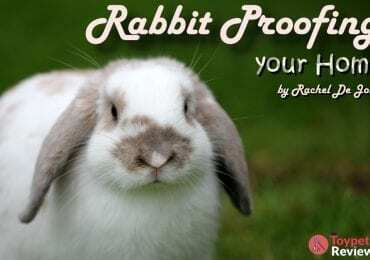 There are a lot of vegetables that are bad for a rabbit so knowing what is safe and good for them is the best thing you can do for your new pet. The same goes for knowing what food isn’t good for them. Check out what you have growing in your garden as well! There are many plants that we think of as weeds that are actually great healthy snacks for our rabbits. You can add them to their salads and the best bit is they are free! You can even eat some of them yourself. A varied diet is the best diet for a rabbit. There are many resources on the internet on learning what is safe for your rabbit to eat. Step III: Where Will Hopper Actually Live? How do you want to house your pet? Do you want to cage it at night or when you are out? The size of the cage is really important for when your rabbit is full grown; otherwise, it will outgrow it within a couple of months. Do you want an x-pen style enclosure? Or do you want to aim for a free-range rabbit? Or can you devote a whole room to your rabbit? These are all questions you need to ask yourself, and most importantly, answer! We can recommend pens and enclosures, but you need to answer these questions nonetheless. The other question you need to ask yourself is how much room you have in your home for a rabbit. This is because Rabbits come in different sizes from the giant breeds like Flemish giants, Continentals, and giant French lops to medium-sized rabbits like Californians, Standard Rex, English lops or English spots. There are, of course, the smaller breeds like Netherland dwarfs, Mini lops, and Mini Rex. These are just some examples of what’s out there in the rabbit world. The bigger the rabbit, the more space they need. The minimum is 2ft x 6ft in cage requirements for an average-sized, full-grown rabbit. One thing I might add is that you should remove the platform from the cage if it has one. A cardboard box is a great alternative as a hiding spot for them and it will keep them entertained with something to shred and chew on. 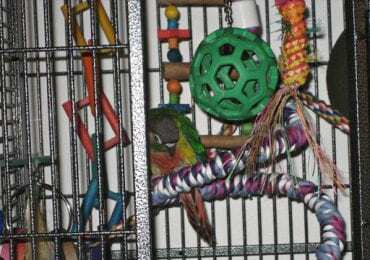 Or you can place a towel over part of the cage for cover, this can also help. With my own rabbit Speedy, he has the run of the kitchen from 7.30 AM till 6 PM in the evening and then has a pen he sleeps in at night, upstairs. And he has an x-pen for holidays like this one. To keep your rabbit happy, it needs enough space to jump and run around… a rabbit can jump up to 3 feet (if they feel like it). 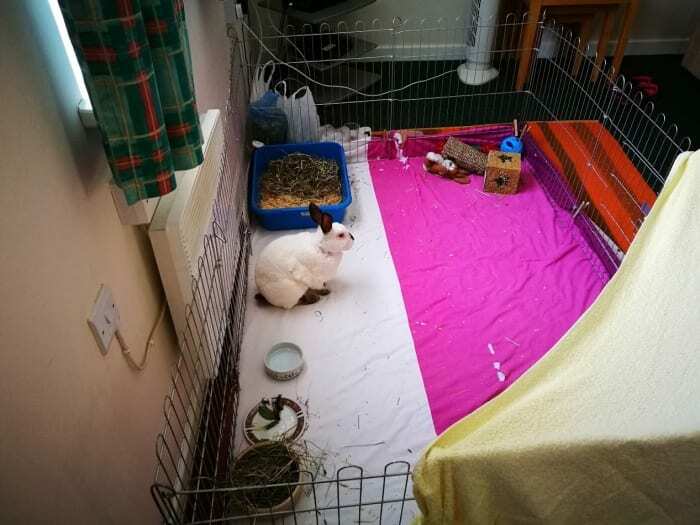 So if you’re going to cage your rabbit, you need to offer it a safe space to allow it to run around and get the exercise it needs. Otherwise, your pet rabbit can become lazy, bored, lethargic, and unhappy – it might even make it become overweight! Rabbits get bored easily and they chew a lot, so any space that you choose needs to provide things for them to chew on. 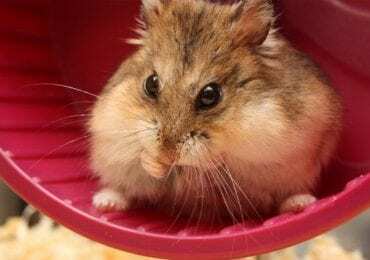 Their teeth are constantly growing and they need to wear them down and they need toys to play with (like cat balls that they can throw about or special chew toys). 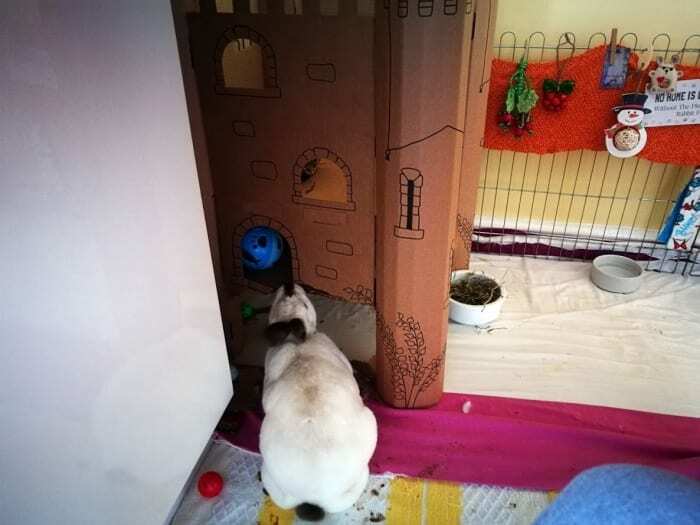 They also need tunnels and boxes to hide in (like Speedy’s castle below) and a litter tray for them to use for their toilet needs. Rabbits are very social creatures and in the wild, they live in large family groups. 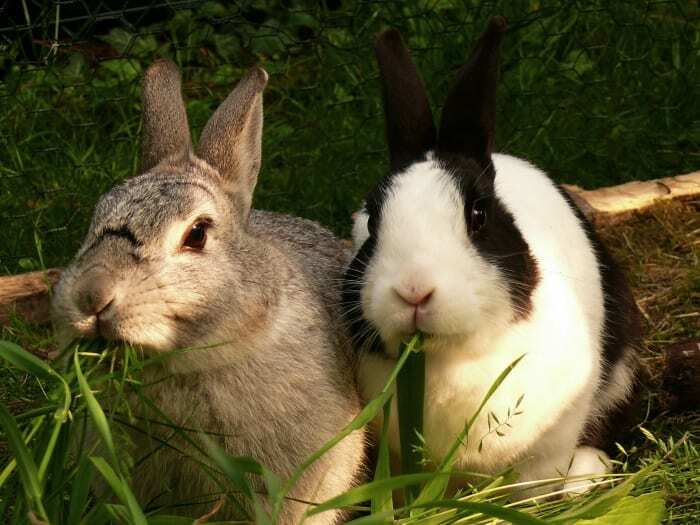 Most shelters and rescues recommend homing rabbits in pairs so that they have the social companionship they need. Although that is not necessarily true because it is possible for them to get the companionship they need from you and your family and any other pets you have in your home (from personal experience). This does take time and effort from you and your family, but it is very rewarding. A rabbit takes time to trust both humans and other pets, but when they do, these relationships are just as rewarding for your rabbit as they are for you. Plus, the more time you reserve for socializing and handling your rabbit, the easier it will be when you take it to see the vet or when you need to give it medications. As your rabbit becomes accustomed to being picked up, these stressful trips will become so much easier for both your rabbit and you. Rabbits are prey animals and being picked up is a very stressful thing for them. But with time and care (and a few favorite treats), rabbits learn to tolerate being picked up and even enjoy being cuddled. 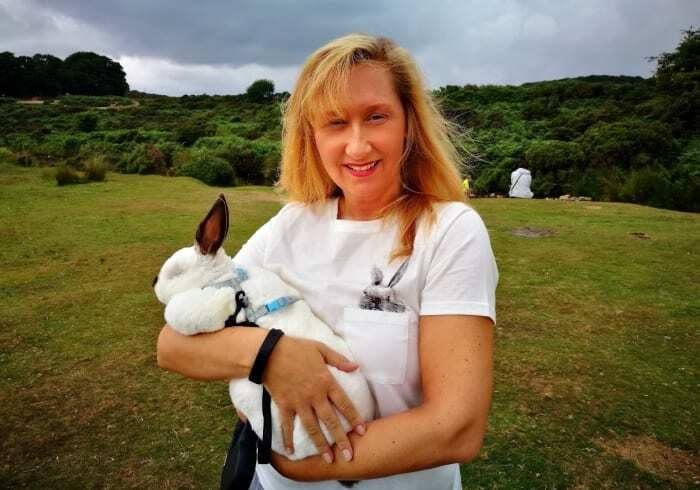 Learn how to safely pick up your rabbit and then teach your children or nephews how to pick up their new friend so that they don’t scare it and cause it to bite, struggle, or scratch them up. 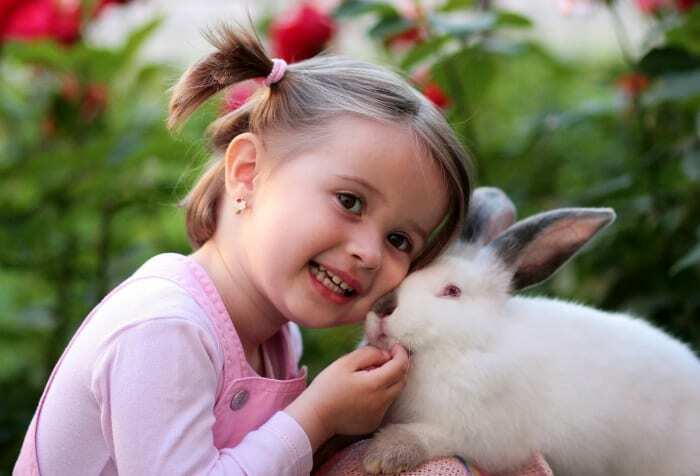 Many children end up hurting their rabbit or getting hurt themselves because they don’t know how to handle this animal or aren’t aware of their own strength. Rabbits are fragile creatures that can get easily frightened and injured by mishandling. When a rabbit is picked up properly, they learn that it’s not a scary or a bad thing. Here is a great example of me holding my rabbit, Speedy, correctly. Rabbits most of all like routine. From the cleaning out of their cages and litter trays, to meal times and play time, and right up to bedtime. So I would recommend making a schedule of the jobs that need to be done and sticking to it. Rabbits really don’t like change and can get quite put out when you alter their routine. They know when you are late with their salad, and they will let you know as well, you can be sure of that. But a routine will help you remain on top of the daily jobs of feeding and cleaning them. It would also help make sure things won’t become overwhelming. Rabbits can coexist with other pets. I have first-hand experience of how this can work. The first rabbit I ever owned lived with 2 cats and a dog. They enjoyed each other’s company and would play together. They even would stretch out together in front of the fireplace on cold nights like one big cuddle puddle. Don’t get me wrong, there were teething problems, especially before my rabbit was neutered. 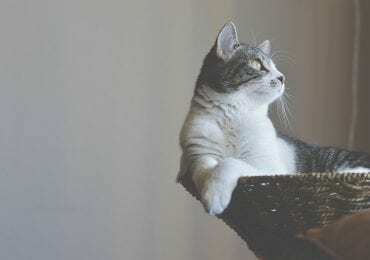 He would chase the cats around the house all the time trying to mount them… It has to be said that it was tricky with one of my cats, as it would cause spats between the two of them. Once he [the rabbit] was neutered, all that settled down. But during those early months, I had to supervise them all to make sure nothing happened. But in the end, I had a happy and harmonious group and home. Just make sure that all introductions and socializing times are supervised. This way, you can stop any bad behaviors from occurring. 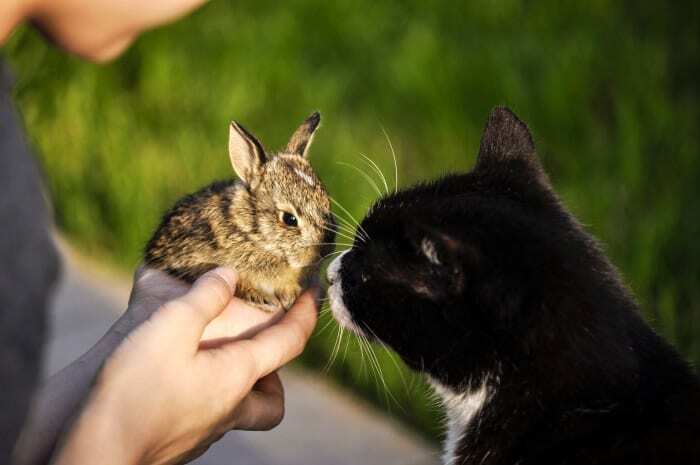 You can also teach them [your other pets] to be gentle with your new rabbit. Have you got any tips of your own on how to introduce a pet rabbit into its new home? Anything from how to welcome them into your home to how to feed and hold them correctly, Rachel is the one to ask! Wow rabbits need as much thought and care as a cat or a dog. They need preparation thought and a lot of room! Yesss, rabbits have needs too and it’s not enough to just bring them into a new home. They need some preparing for (from room and nutrition requirements to the emotional part), but it’s going to be well worth it. Thank you for giving folks a hop in the right direction for pet rabbits! Wow, wow, wow this post was fabulous! Anyone considering having a rabbit join your family should read this! I pinned it! Beyond informative as well as interesting! Well done! Rachel was amazing, she really put everything into perspective and underlined the importance of doing your research before deciding to bring a pet rabbit into your home (and how to do this correctly). What a great post for prospective rabbit families. It just shows that there is no such thing as an easy pet, and that we all need love, care and attention. 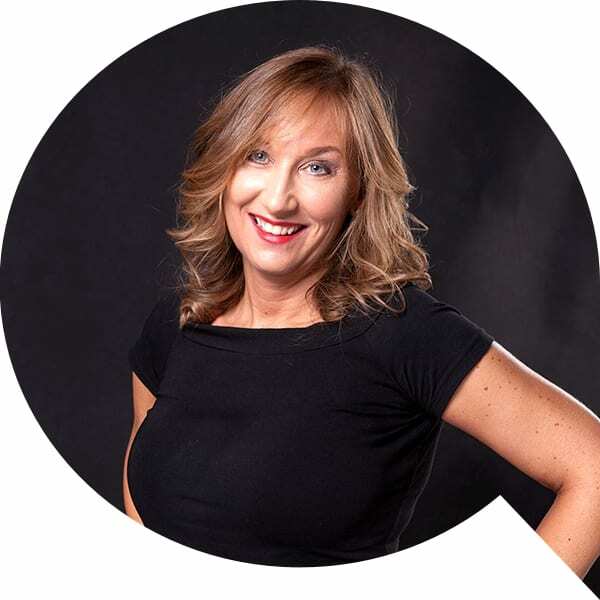 Thanks again, Rachael, for a most interesting, thorough and fun blog. Great article Rachel!! You covered all the bases on Rabbit care….And you are a wonderful Bunny Mum! Congratulations on your 1st article. Congrats on a terrific article, Rachel. And thank you for sharing all the ‘pawsome’ info about rabbits as pets!